If you’re in the mood for a coffee and a time out and don’t want to deal with the noise of an indoor play centre, it turns out that Brisbane is full of child friendly cafes. Here’s our top pick for the inner city. 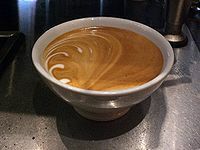 Urban Grind (131 LaTrobe Terrace, Paddington) is the number one choice for serious coffee aficionados. They claim to keep is simple – ‘no decaf, no cream, no frills, just good coffee’ – although they do offer chai tea and a selection of cold drinks as well. Urban Grind invites you to bring your children along, and offers babychinos and a box of toys to keep them occupied. 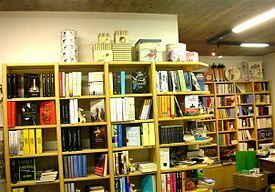 The Avid Reader (193 Boundary Street, West End) is an establishment you’ll feel good about bringing your children to. The cafe is set inside one of Brisbane’s best loved bookstores and offers a space where parents can enjoy a pretty damn good coffee while the children explore the shelves, play with the toys provided or, depending on when you’re there, enjoy a story telling session. The cafe is open seven days a week, from 8.00am until 5.00pm. The Pineapple Hotel (706 Main Street, Kangaroo Point) isn’t exactly a cafe, but there are times when a coffee just isn’t strong enough! Their dedicated child-friendly options include a playground, free activity bag, and children’s menu boasting the usual suspects like chicken nuggets or fish with chips and some crowd pleasers like chicken parmigiana or roast of the day. Meanwhile, you can enjoy a nice glass of wine at one of their four bars. But we’ve barely scraped the surface. It’s over to you now – which inner city bar do you and your kids love?